Q. How do I access my Blackboard classroom? Log in to your myWalden Portal. 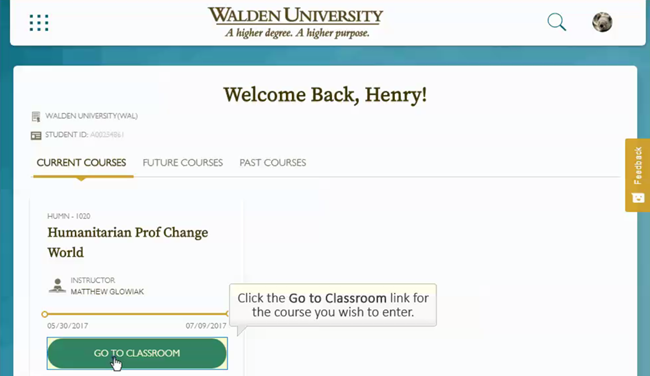 Select "Go To Your Classroom" to access your Blackboard Classroom to complete your Discussions, Assignments, and more. Clicking on Menu at the top left-hand corner of your portal screen. And then click on Blackboard.